There comes a time when dog owners wonder what might happen to their precious pets should they no longer be able to care for them or (heaven forbid) they should die before their dogs. In their book "If I Should Die Before My Dog —" Joe Connolly and Cathy Connolly have addressed this concern of preparing a place and a future for our dogs without us. The authors do so with the compassion and caring that only those with canine companions of their own can feel. Many of us have known the loss of a beloved dog but it would be more grievous to know our dog would be wearing a sad face if we were no longer with them. Joe and Cathy Connolly know this too and they have written a book for your dog and for you. They have authored the book with the sole purpose of giving you the peace of mind of knowing your dog will have a happy home, a happy future, a happy face — even if the dog must be without you. 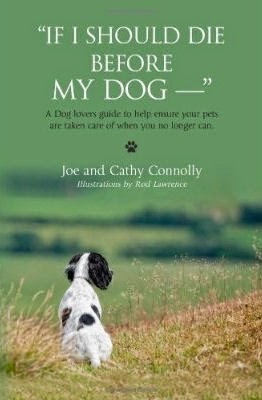 Authors Joe and Cathy Connolly have addressed the issue of rehoming your dog with utmost care. There is a special page in the book "If I Should Die Before My Dog" entitled Where Will I Go Now? Before you can no longer care for your dog, set about finding a new home for your dog. Designate the person with whom your dog will live if not with you. Once you have carefully chosen the person who will care for your dog in your absence you will want to talk with them at length. Share your concerns with them and answer any questions they may have. Share this book with them. Write the answers down in detail. There are extra pages in the book for all those special little things the carer of your dog will need to know. With, or without you, your dog needs to feel at home. Throughout the pages of the book "If I Should Die Before My Dog —" you will find the most delightful illustrations. In black and white, illustrator Rod Lawrence captures the color of a dog's life. Thanks for your nice comments on my illustrations for the book. I've done a number of dog portrait commissions and really enjoyed doing them. For whatever reason, I consider them to be some of my better work. 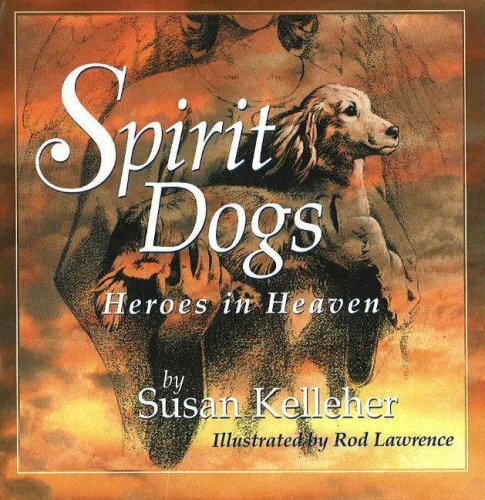 Previous to this book I did some dog illustrations for a small book called Spirit Dogs: Heroes in Heaven. That turned into a novel (I did the cover for it) and it is now turning into a trilogy (I'm working on the second cover now.) So I have done quite a few pieces of art that feature dogs. I've had dogs most of my life so putting them into my art is somewhat an extension of that. At this point, the plan is to have me do the illustrations for the "cat" book. I haven't done any of them yet as it is still in the works, but I have been lining up some "models" to work from! I have not had as much experience working on cats, but several of my more recent paintings have been of cats, one of which is available as a limited-edition print. People are asking about a cat book, truth is_____ IT"S already Copyrighted AND YES, Rod Lawerence will be doing the illustrations!! We could never forget about our precious kitties, after all our house is ruled by one beautiful bossy calico named Lily!! This book is so much more than a book about man's best friend. It is the book every dog owner should have in his hand. It is the gift you should give to every dog lover you know. No home - no family - with a puppy or dog should be without it. I WILL prepare a safe place for my dog Valentino by designating a caretaker in my absence and sharing important information in my copy of this book. Have you planned ahead for the care of your dogs in the event of your absence? Share your dog story on a blog post of your own and link up with us this week for PAWSIT Hop Saturday! You can submit your blog links any time throughout the week. Grab the InLinkz code for your PAWSit post.